We’ve all had accidental falls, bumps and impacts that resulted in swelling and tenderness. This is our body’s protective reaction at the site of an injury. However, when that swelling does not resolve in a few days, it’s time to suspect something more serious – cellulitis. Cellulitis is a bacterial infection in the deeper layers of the skin that can spread throughout the skin very rapidly. The skin begins to look red and swollen and possibly have a rash over the reddened area. When the skin is felt it is warm and tender. A fever is a later sign of an infection. When you suspect a cellulitis infection in your body, you need to go see your primary physician preferably that day. If you cannot get an appointment that day then it may be best to go to the emergency room. After being diagnosed with cellulitis, you will need to be treated with antibiotics to help your body fight the infection. 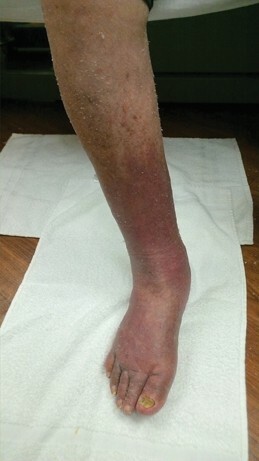 One common cause of cellulitis is lymphedema. This condition requires special treatment beyond antibiotics. The lymphatic system is part of our blood circulatory system to remove lymphatic fluid from the body. L ymphatic fluid consists of white blood cells, protein rich fluid, waste products, and any bacteria, virus, or fungus that may have entered our bodies. The lymphatic vessels collect the fluid and take it to the lymph nodes in our body. The purpose of the lymph nodes is to clean the blood and fight the infections that have ensued, providing essential immune system functions. When the blood leaves the lymph nodes, it returns back to the heart to recirculate. When part of this transport system fails, lymphatic fluid accumulates in the affected area. 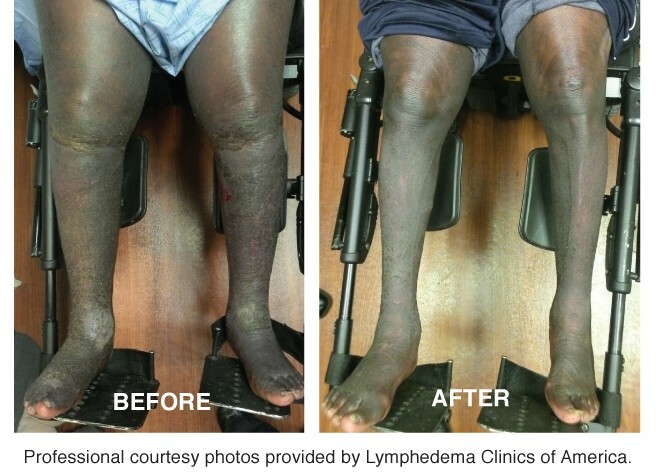 This condition is referred to as lymphedema. to enter our skin. Protein is an excellent medium for bacterial and fungal growth, so infections are frequently problematic for a patient with lymphedema. When bacteria enters the skin it is taken up by the lymphatic vessels and transported to the lymph nodes where infections are fought. If the lymphatic transport system has failed then the lymphatic fluid with the bacteria in it is not transported out of the skin and tissues to the lymph nodes. The bacteria then multiply in the skin and can cause a cellulitis infection. 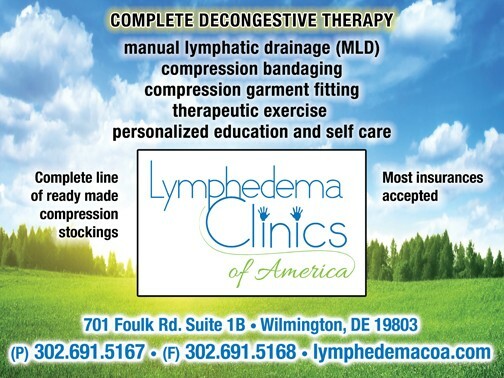 If you or your doctor suspects that the chronic swelling of your limbs is the result of lymphedema, you will need to be seen at a lymphedema clinic for treatment. However seeing a doctor first is important because the lymphedema therapist cannot begin treatment until the patient has been taking antibiotics for several days. Proper compression is key to removing fluid and bacteria from the affected area to a lymph node, where, with the correct antibiotics, it can be eliminated from the body. Antibiotics alone are not effective in patients with chronic cellulitis resulting from lymphedema. The infection tends to return time and time again because the swelling continues to stretch and open the skin and allow more bacteria to enter this medium (lymph) that is rich in protein and an excellent breading ground for infection. We encourage anyone who has chronic swelling and infections to schedule a consultation with one of our therapists and to begin a program that will help reduce the risk of another cellulitis infection. ← Previous Story The Need For Blood Doesn’t Take A Break!